iPhone 5 will pack a 3.9-inch display - or is that 4.1-inch? 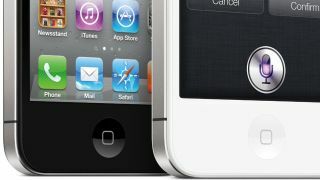 Two more reports on the rumoured larger display set to feature on the iPhone 5 have appeared, but they don't quite match up. Firstly 9to5Mac reports the iPhone 5 will have a 3.999-inch display after it learned that two prototype handsets are floating round Apple HQ with the quoted screen size – clearly that 0.001-inch bump up to 4 is too much to ask. Apparently the screen will be the same width as the one found on the iPhone 4S, with the extra size coming in height – potentially giving the iPhone 5 a widescreen, 16:9 aspect ratio display, perfect for movie playback. According to the report, Apple has managed to squeeze even more pixels into its latest display, providing a resolution for the new screen of 640 x 1136. This is all well and good, until you read that MacRumors has been sent images claiming to show the front panel for the next generation of iPod, complete with a larger screen area. The current iPod touch sports the same sized screen as the iPhone 4S and co, so it's predicted that if Apple was to increase the display on one device, it would follow suit on the other. The source which provided the images claims the next iPod will sport a 4.1-inch display, as well as listing parts apparently meant for the iPhone 5 including front and rear cameras. It's still unclear what size display the iPhone 5 will pack, but it looks ever more likely that Apple is about to step away from the 3.5-inch option and plump for something in the 4-inch region.